INDIANAPOLIS, IN., April 9, 2019 -- Tau Kappa Epsilon (TKE) fraternity and St. Jude Children’s Research Hospital® today announced the achievement of a $2.6 million fundraising commitment to support the lifesaving mission of St. Jude: Finding cures. Saving children.® At the beginning of 2016, TKE pledged to raise $2.6 million towards the naming of the proton therapy synchrotron/particle accelerator within six years. This announcement marks the second time TKE has completed a commitment to St. Jude Children’s Research Hospital, following a 2011 pledge to raise $1 million in five years, which was completed a year earlier than anticipated. Because of Tau Kappa Epsilon members, families at St. Jude will never receive a bill for treatment, travel, housing or food – because all a family should worry about is helping their child live. Tau Kappa Epsilon has a rich philanthropic history with St. Jude. Danny Thomas, founder of St. Jude Children’s Research Hospital and member of Tau Kappa Epsilon, enlisted the help of his fraternity brothers in 1978 to raise funds and awareness for St. Jude. "There's a unifying bond that grows from young men working together for community service to others that will keep them together for the rest of their lives," said Danny Thomas, in 1978. "And when they work for something as important as saving the lives of children, that experience can't be equaled." Founded on January 10, 1899, Tau Kappa Epsilon is one of the largest collegiate men’s social fraternities in North America with more chapters on more than 240 college campuses and more than 280,000 lifetime members. TKE’s mission is to aid men in their mental, moral and social development for life. 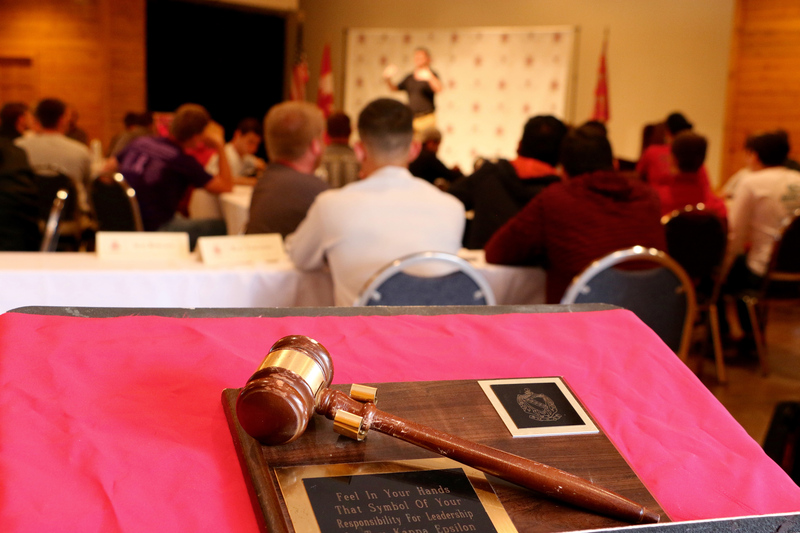 With more than 11,000 collegiate members, Tau Kappa Epsilon contributes to the advancement of society through the personal growth of our members, and service to others. TKE builds Better Men for a Better World. Keep up to date with TKE by liking TKE on Facebook and following on Twitter and Instagram. Have you done great work? TKE wants to know.